Phil Evans is somebody who has built himself a reputation as filming skateboarding differently from everyone else. The obvious definition of a skate video is a film that features skateboarders doing tricks on spots with a musical soundtrack. The purpose of a skate video is to get you hyped to go skate and hopefully incite you to support the skaters you’ve seen on film. Coping Mechanism goes beyond the conventions of a typical skate video because it introduces the viewer to a group of skateboarders who rip great spots but also drive their scene forward through positive actions. As a result the viewer wants to go skate, act in a responsible and positive manner for their local scene and support the guys featured in this film. 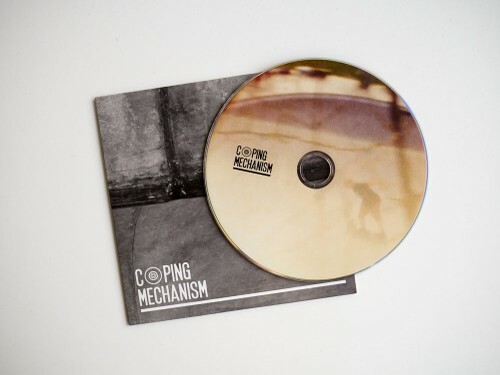 Coping Mechanism is a documentary film that focuses on the efforts of the Malmö (Sweden) skateboarders who have learnt to work with or without their local authorities to build one of the strongest and most influential skate scenes in the last decade. Skate-Malmo and Brygerriet are two incredibly competent bodies that act as the link between the skateboarders and the politicians to get concrete poured, contests run, local entrepreneurs promoted and good times had by all involved. Phil turns his camera and mic towards a handful of individuals that each plays a part in strengthening the Malmö skate scene. Will Taylor and Dave Toms are both foreign construction workers who have settled in Sweden and helped pour a vast majority of the concrete everybody shreds on a daily basis. Then you have Emma Lindgren who acts as a figurehead for female skateboarders breaking down the barriers of convention and paving the way for Swedish ladies to get radical. A trip to Malmö is also a pilgrimage to the DIY spots of TBS or Steppeside molded and mastered by local rippers like Pontus Alv and Matthias Hallén. These guys knew that their city was limited in what it could offer terrain-wise, so they decided to grab a couple of bags of concrete and build their own spots. This do-it-yourself mentality has spread like wild fire around the globe, but for the Malmö skaters it was never a question of setting a trend. It was a simple necessity if they wanted to skate. All of this creativity and elbow grease has had a strong influence on the younger generations who lend a helping hand in building their scene, but also polishing off their abilities to rip all sorts of spots. Fernando Bramsmark and Oskar Rozenberg Hallberg skate all day and all night and are the poster children of this next generation. Finally, one man embodies the Malmö skate scene and is held in the highest regard by his peers for going above and beyond the duties of a local skateboarder for his scene. That man is John Magnusson also known as J-Mag. Described as a calm and humble person by his peers, John took it upon himself to create a dialogue between the skateboarders and the local authorities to guarantee a constructive collaboration that has seen the old industrial town of Southern Sweden become a premier location for national and international skaters seeking great spots to visit. These visitors breathe new life and esteem into a community that previously had very little to offer in return. The key to the success of the Malmö skate scene is probably due to the level of trust between all parties. The skateboarders have the responsibility to develop and build their skateparks with the direct experience and knowledge of using them afterwards. The street scene thrives too as locals share their old and new spots with one another and newcomers in a bid to push the scene and be proactive in promoting local brands. Evans has been careful to embed himself within a scene and listen to what the key players have to say without neglecting anyone or anything. 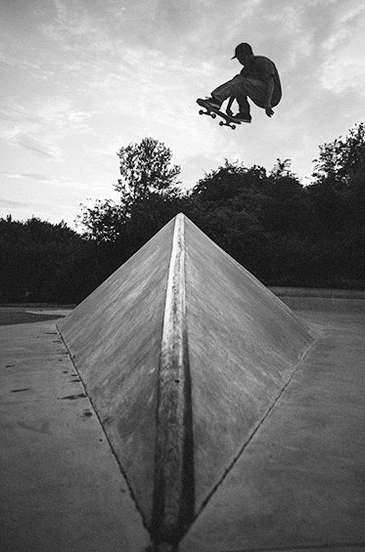 The Malmö skate scene didn’t just appear overnight. Spots had to be built and sometimes re-built, lines had to be found, films were made and dialogues were established to serve as a testament to the City and the skateboarders who seem to have cracked the code of positive collaboration. If you were wondering how to push your scene forward, the first step would be to get a copy of Coping Mechanism and watch it with your friends, family and local authorities. As a documentary, a single viewing of Coping Mechanism should spark the fire in viewers to contemplate their own scenes and communities and figure out what needs to be done to compensate older generations and invest in future generations. You can pick this DVD up from the Skate Malmo site where Oskar Rozenberg Hallberg’s photo featured in this review on this page and other shots by Nils Svensson are available to buy as prints.